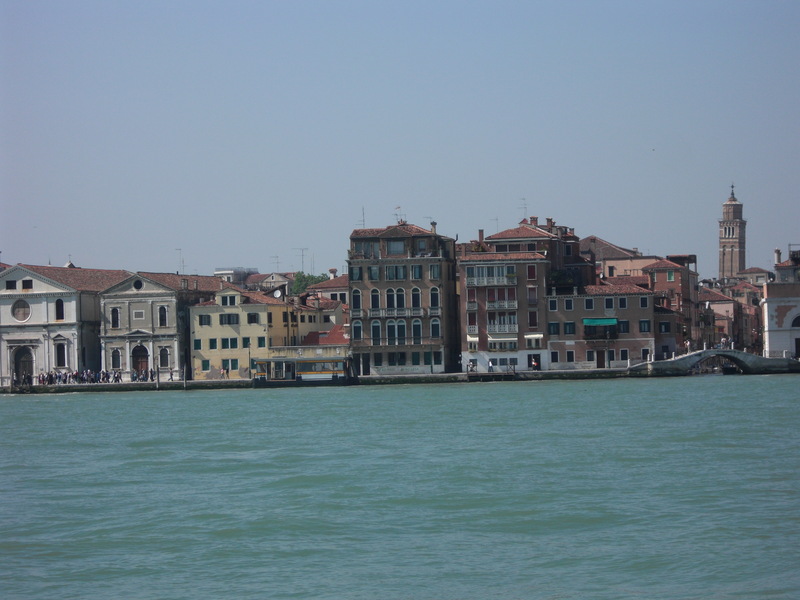 Venice is an enchanting city built on the water. 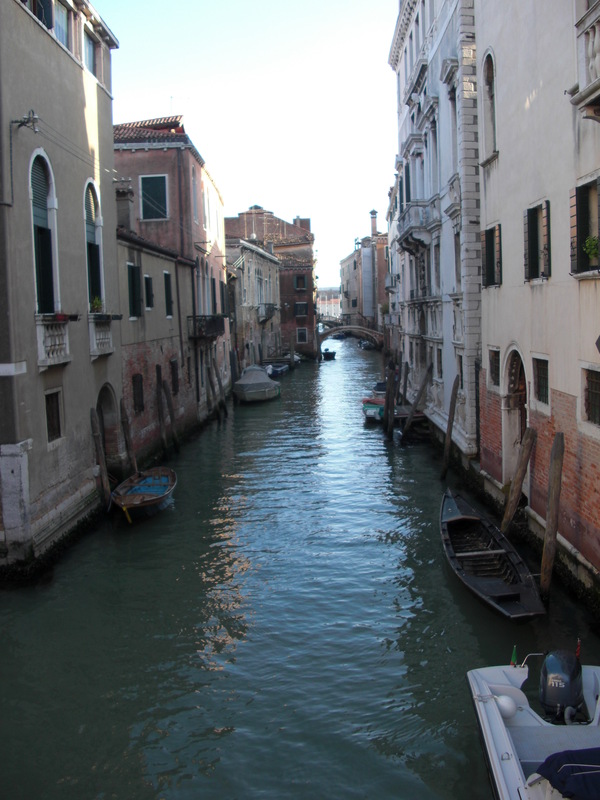 The narrow paths and arched bridges invite you to explore and discover the hidden gems of this romantic city. 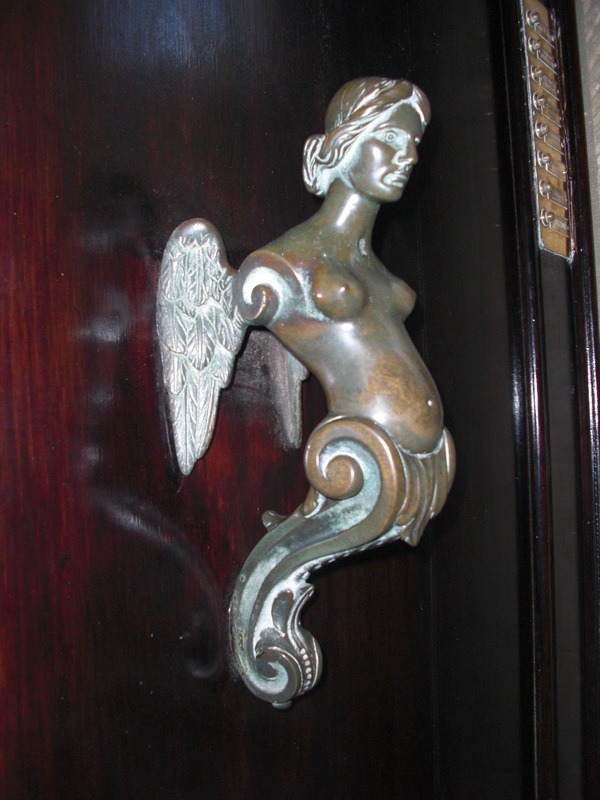 Venice is a city whose charm lies in its details. 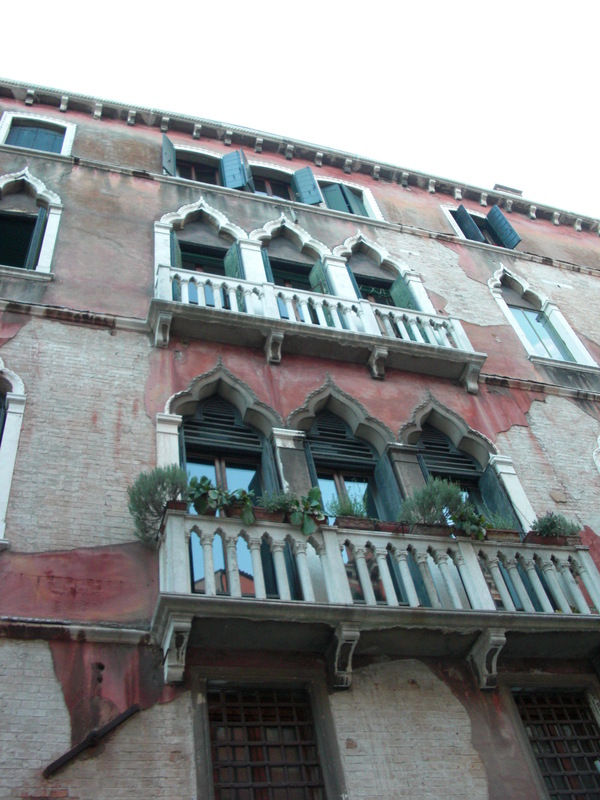 If you make your way out of the tourist laden St. Mark’s Square, there are surprises around every corner. 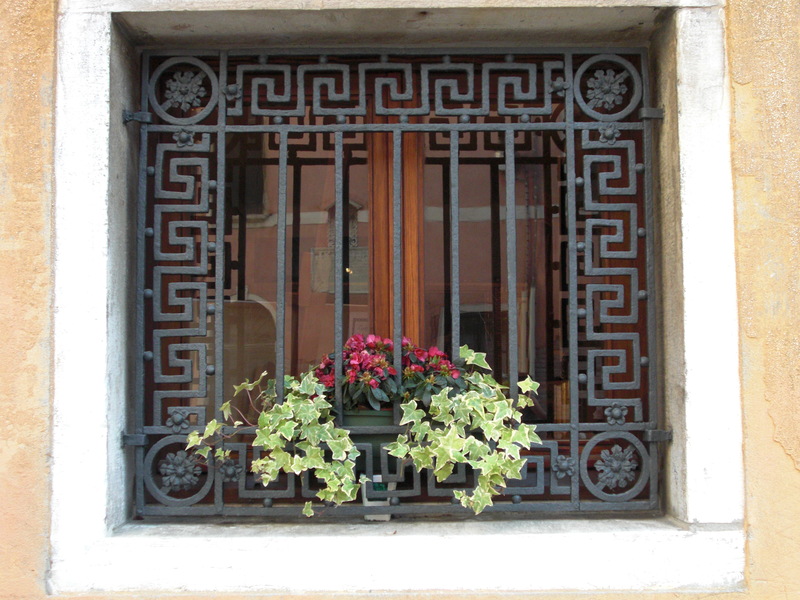 If you take the time to slow down and take in this city, you’ll find amazing architectural details, small cafes, beautiful iron work and a little whimsy as well. 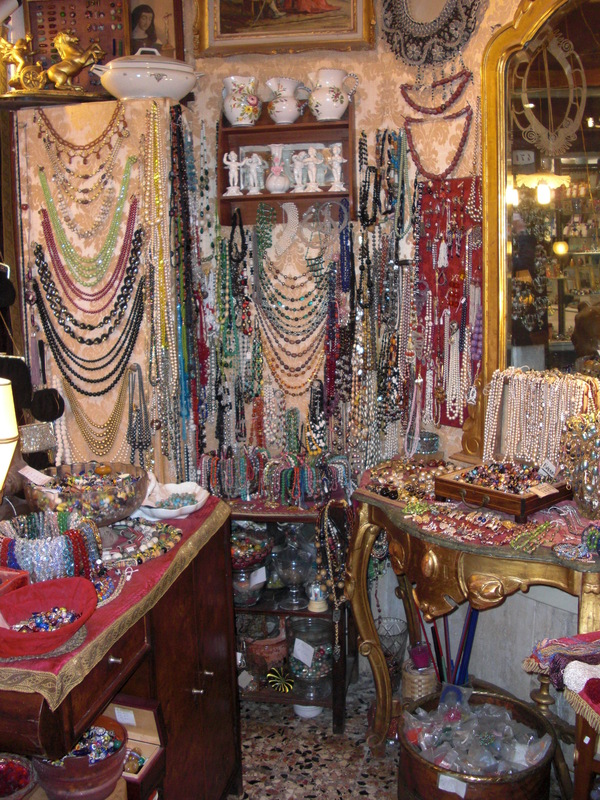 Of course, one of my favorite travel activities is discovering little boutiques, filled with locally made treasures and Venice is brimming with these tiny, closet sized shops that are truly unique. 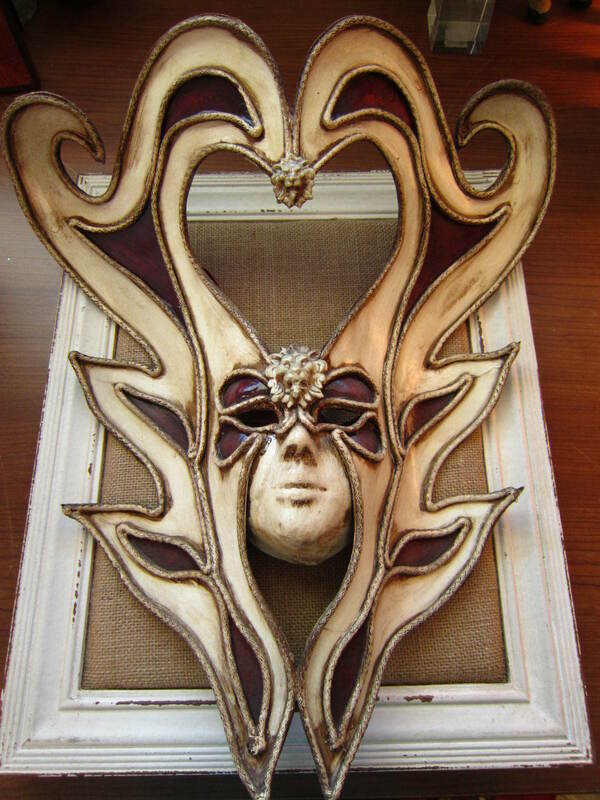 Venetian artists are known for crafting beautiful lace, hand blowing elaborate glass and of course, mask making. I am a collector of global jewelry and accessories so I was on the hunt for some unique jewelry items. 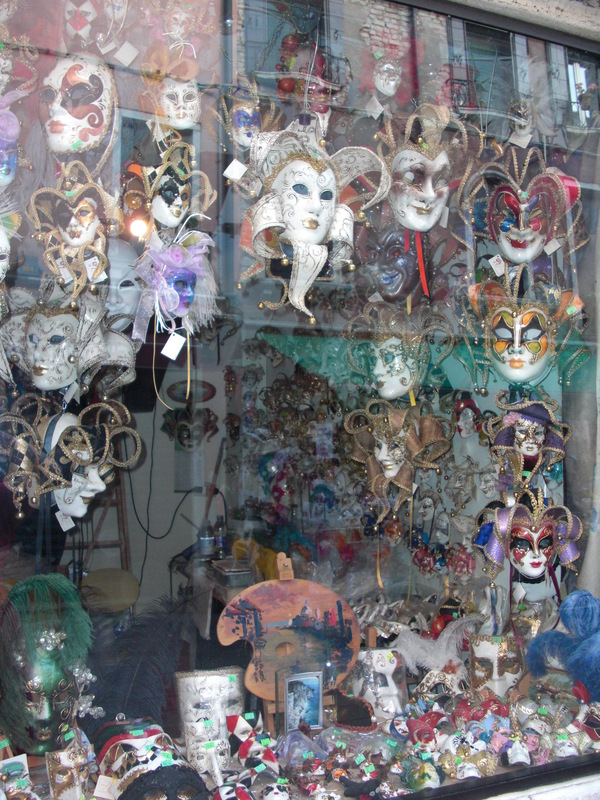 I also collect masks from around the world and a Venetian mask was definitely on my shopping list. 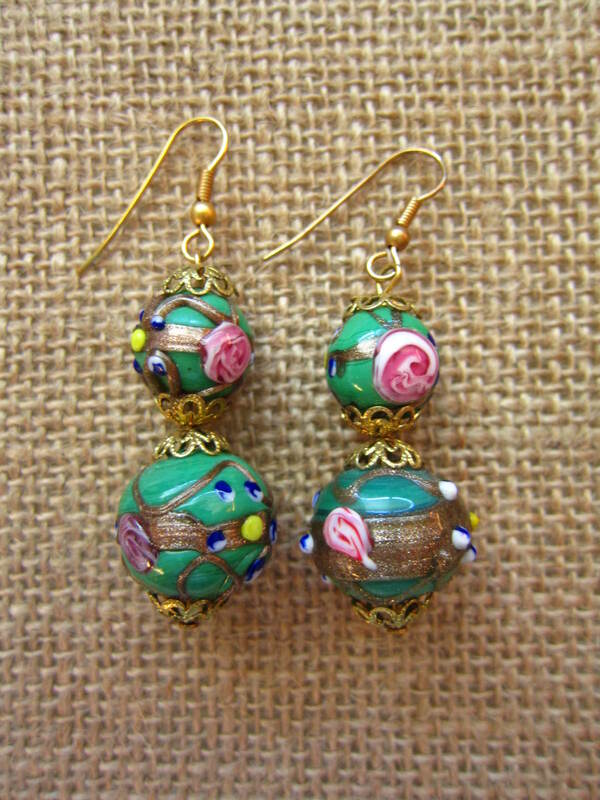 I found this amazing antique jewelry shop, where I picked up these vintage Venetian glass drop earrings. 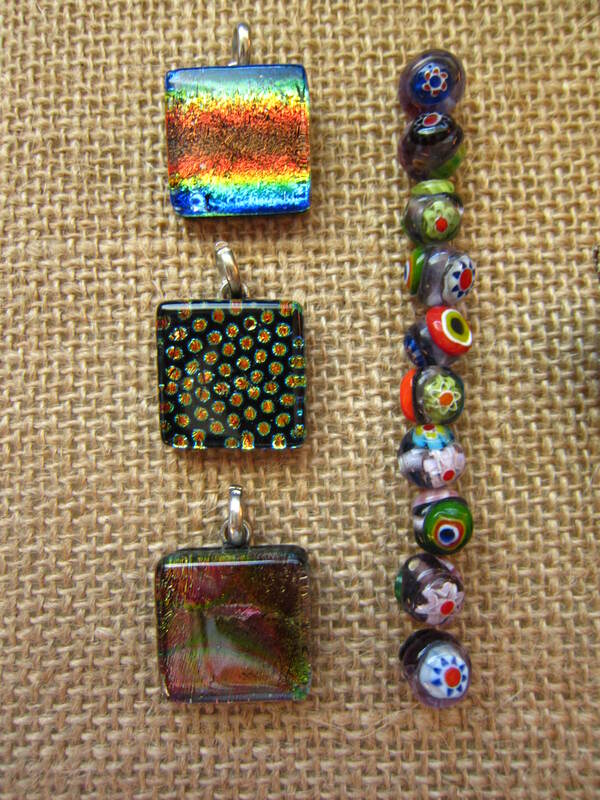 (Click here for details on how to find this shop) I also found some Venetian glass pendants and this is what’s left of a strand of small glass beads I bought. My sister and I have used them to create pieces for our line, Sistas Jewelry. 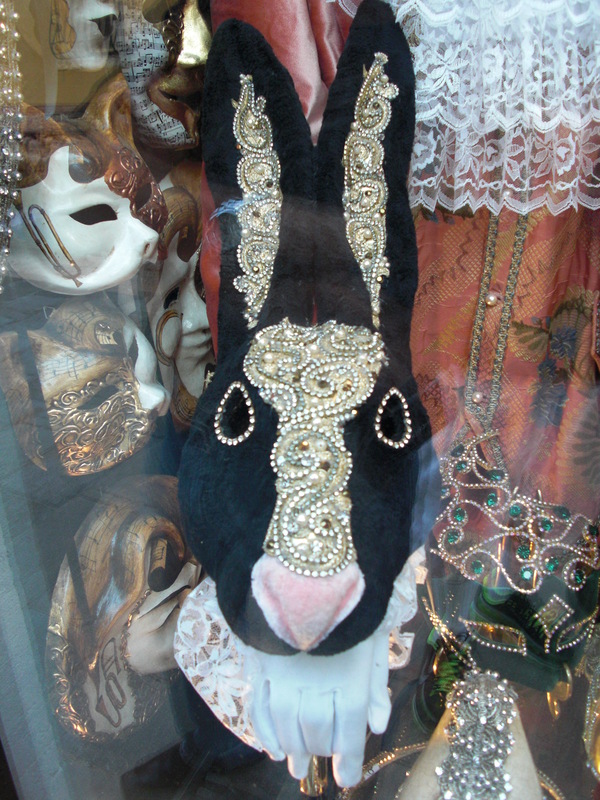 A few doors down from the antique shop was this amazing mask shop. 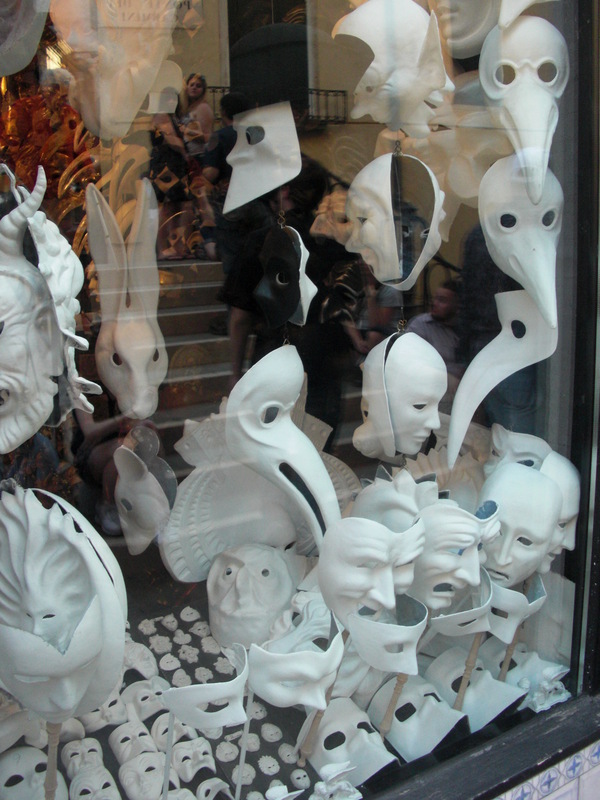 They had every size and color you could imagine in masks from unfinished to fully decorated. Our decor at home is filled with earth tones so I opted for this more neutral colored mask. 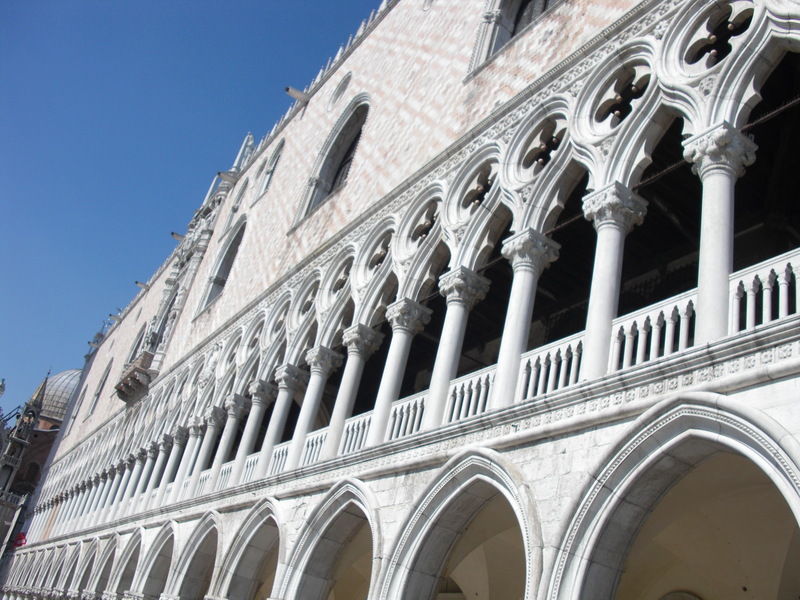 I loved its ornate shapes and the addition of the lions, which are a symbol of Venice. 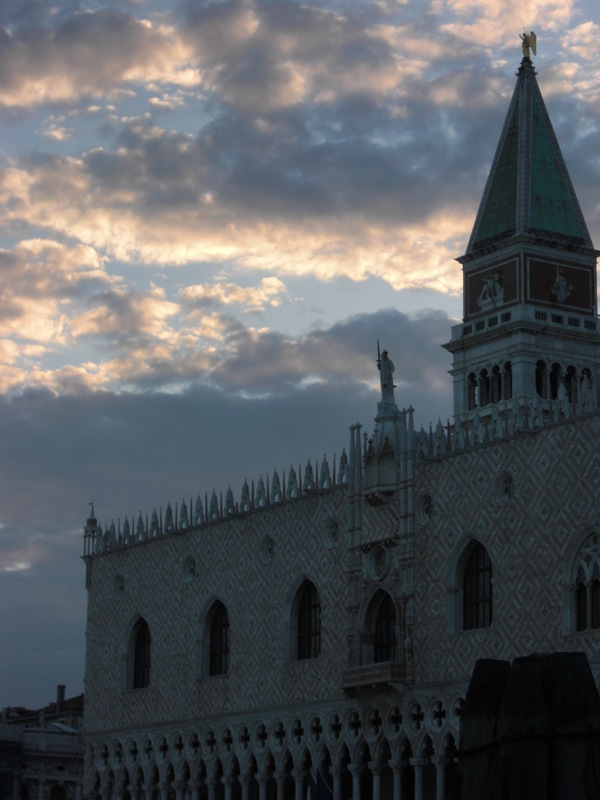 It was a fabulous two days in Venice filled with exploring. 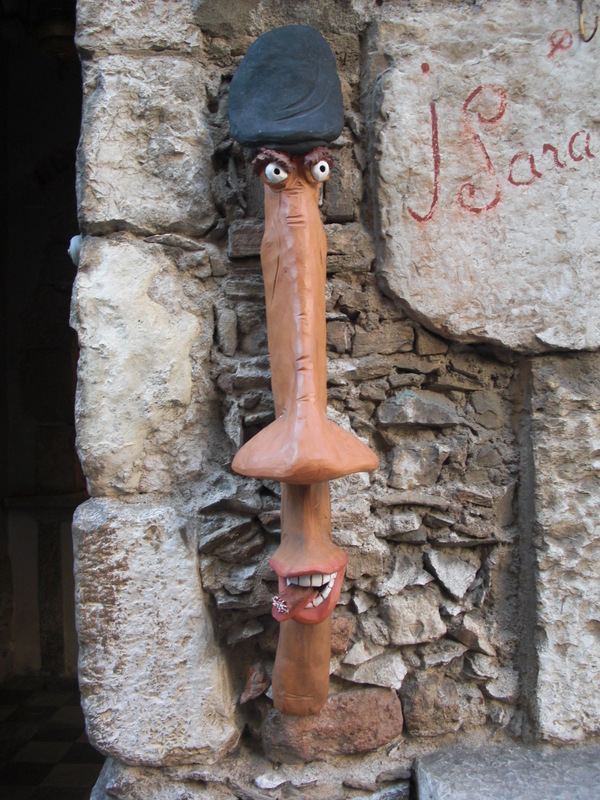 I learned a valuable travel lesson, to go away from the crowds, create your own memories of a place and discover magic by venturing down the street everyone else is walking away from. 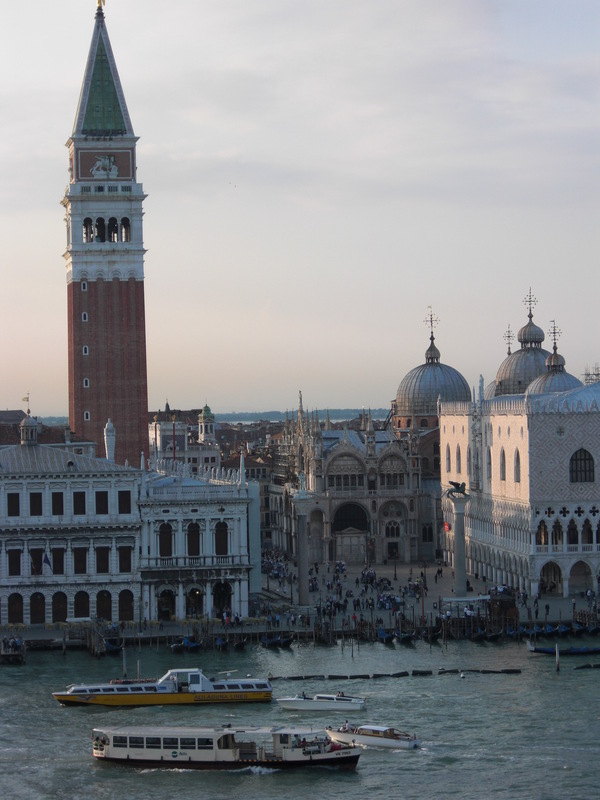 I so desperately want to see the amazing beauty of cities all over the world! You are so blessed and lucky! I count my blessings every day. I’m launching “Global Market Getaways” next year which will be small group arts and culture based shopping trips to different countries that I will guide personally. You CAN see the world and you will!